We are one of the organizations around the world that is putting together an event for the SDGs alongside World Merit on July 24, 2016. 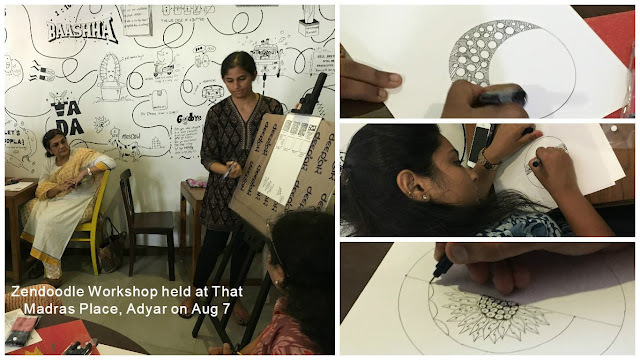 As part of our work with World Merit, we hosted a Zendoodle for Peace Workshop at That Madras Place, in Chennai. 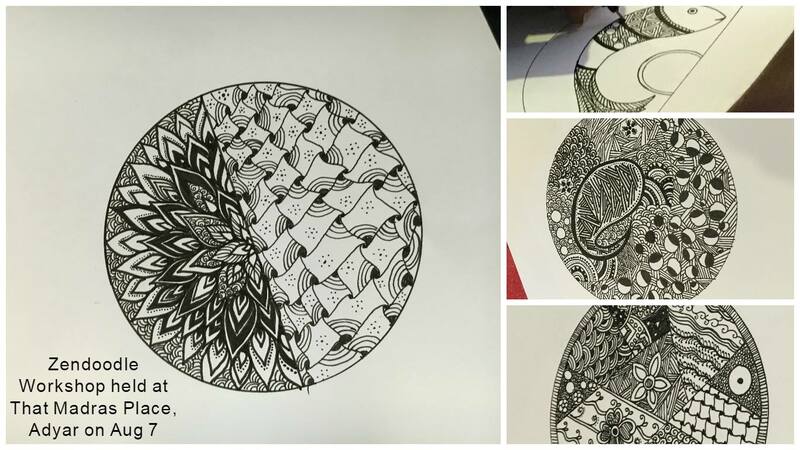 Read on for more on what we did! 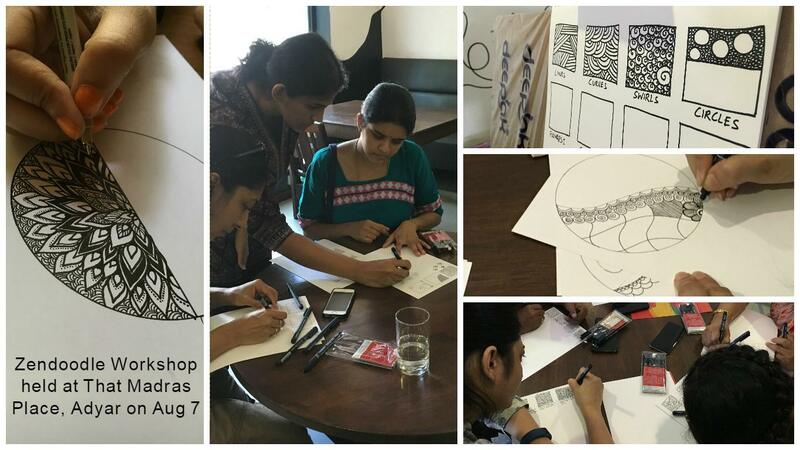 We started with the basics of Zendoodling, and taught the participants some basic ideas on patterns, shapes, squiggles, techniques and stationery that can be used to doodle. We then had them follow suit. Next, we got each person to partner with someone in the room to doodle one half of a circle on a piece of paper, according to their interest. The idea was to help them communicate with one another.